Largely unbuilt scheme for a client who died shortly after the design was commissioned. Although a house was actually built, it was to a more reduced scale and ambition – albeit with some details recognisably from this design. For many years a convent. 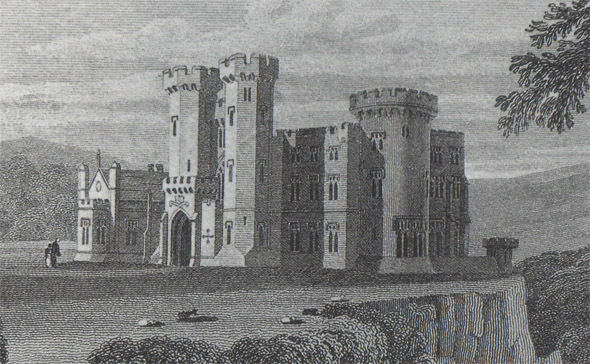 The image by J.P. Neale, of the design as intended, over-dramatized the location – like many of his other images of Irish country houses and castles.